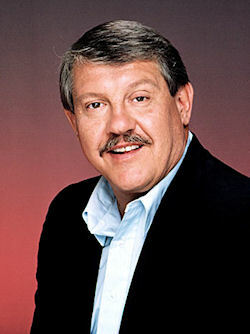 Actor and former NFL player Alex Karras, who starred as George Papadapolis in Webster, has died. Karras died at his Los Angeles, California home in the morning hours on October 10 of complications from kidney failure. He had suffered from a variety of health problems in recent years, including dementia, heart disease and stomach cancer. Mr. Karras was 77. Karras' survivors include his wife, Susan Clark; his sons George, Alex Jr. and Peter; and daughter, Katie. He was a talented man on and off the field. While he was one of the most fearsome players in football, he was a gentle giant on screen as an actor. We loved his work on Webster. It's very sad that he had dealt with so many health problems in recent years. He will be greatly missed. 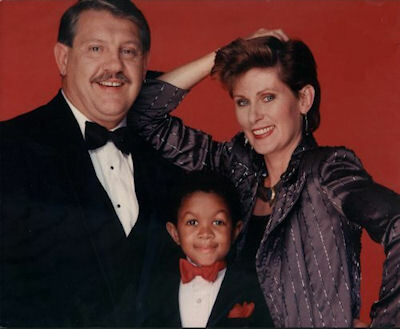 Share your memories of Alex Karras here. Visit our Webster fan site for all things Webster. CBS has pulled its new Friday drama Made in Jersey after just two airings. This is the first official cancelation of the 2012-13 season. The drama only mustered a 0.8 adults 18-49 rating last Friday in week two, after premiering to just a 1.1 adults 18-49 rating the week prior. CBS will move CSI: NY to the hour effective immediately this Friday (Oct. 12). CSI: NY was airing in the 8pm hour and also was struggling. Drama repeats will air for the next three weeks at 8pm (NCIS on Oct. 12 and 26 and Hawaii Five-0 on Oct. 19). CBS will launch the new season of Undercover Boss on Friday, Nov. 2 at 8pm. It will be opposite Kitchen Nightmares on Fox in terms of reality, as ABC's Shark Tank will be moving to 9pm on that night. No word if CBS will air the remaining episodes that were already in the can. It is not known how many were completed in production. 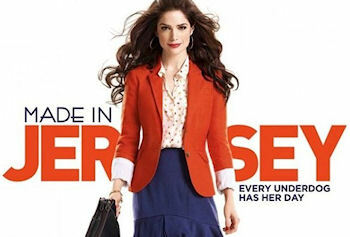 The series starred Janet Montgomery, Erin Cummings, Kristoffer Polaha, Kyle MacLachlan, Megalyn Echikunwoke and Toni Trucks. Will more series that are struggling be pulled soon too? Some candidates include The Mob Doctor, Animal Practice, Partners and sophomore comedy Up All Night. Stay with us, and also stay with us for any full season pick-ups (that's what we like to tell you more about, of course)!